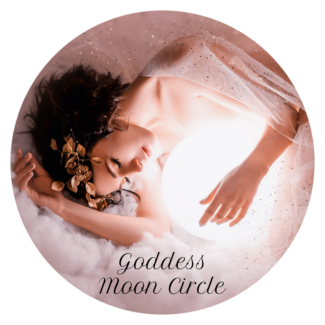 Join the Goddess Full Moon Group for the first Spring Full Moon celebrating the Goddesses Erzulie Freda and Erzulie Dantor on Tuesday, May 9 at 8pm eastern, THE 9th is the RESCHEDULED DATE!! The Moon is Full in Scorpio at 542pm edt. 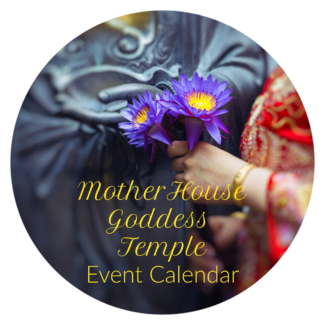 Brandi Auset and I lead the Goddess Full Moon Group every month, as well as some special Goddess Wheel celebrations, and it includes discussion of the featured Goddess, a guided meditation, and a chat with Q&A after the meditation. 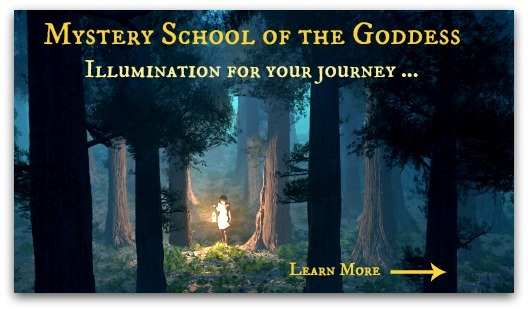 This is free to sign up! 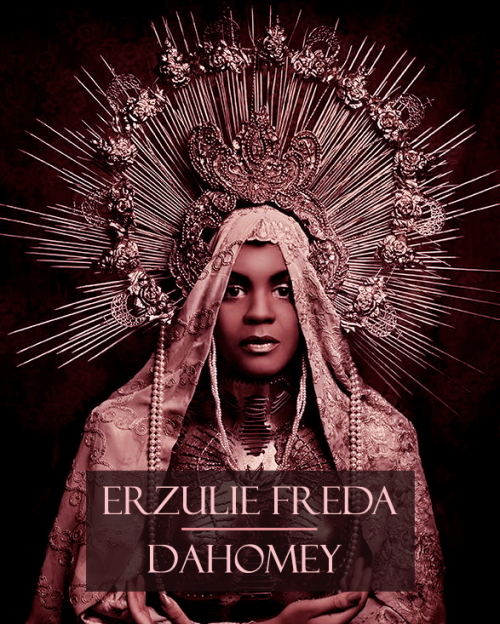 Join us for a powerful evening on May 9th exploring the love and strength of Erzulie Freda and Dantor! 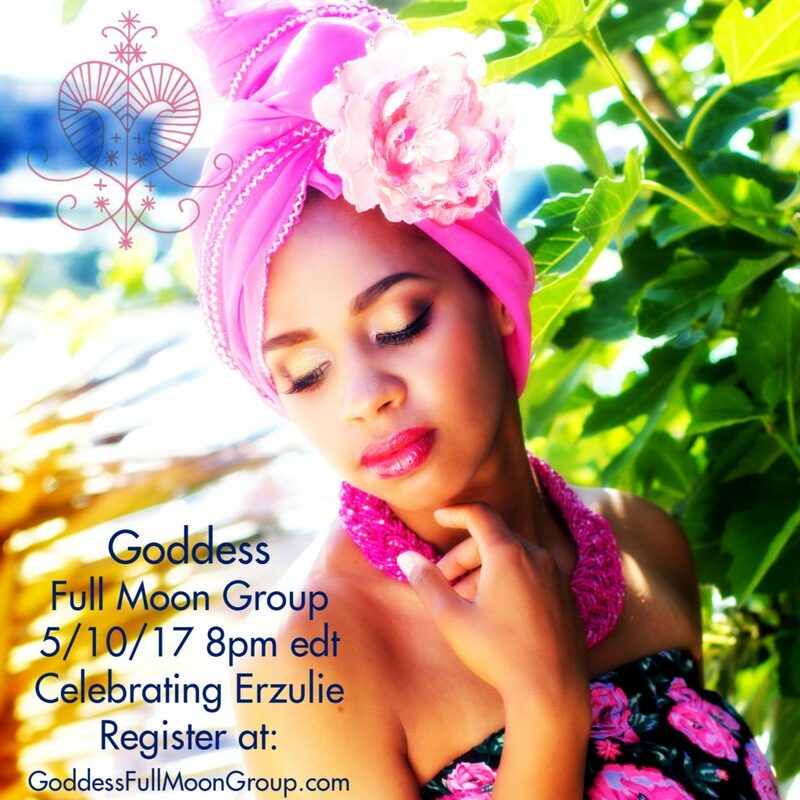 While Erzulie has many forms and is even considered a family of lwa, we will be discussing Freda and Dantor and meditating with Erzulie Freda for the Goddess Full Moon Group of May. Originally a Goddess of Africa, the Lwa Erzulie is now mainly worshiped in the Voudun cultures of the Afro-Caribbean. 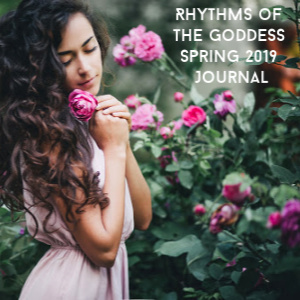 She is a Goddess of beauty, prosperity, and the performing arts – especially dance. Followers of Erzulie say once you are in Her favor, you will never want again; cross Her, and your remaining days will be spent suffering in Her wrath. 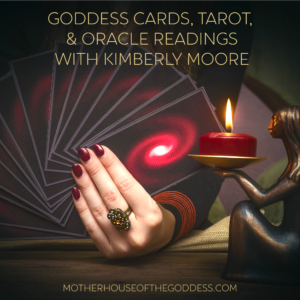 She is a deity of love, passion, and hedonistic desires. 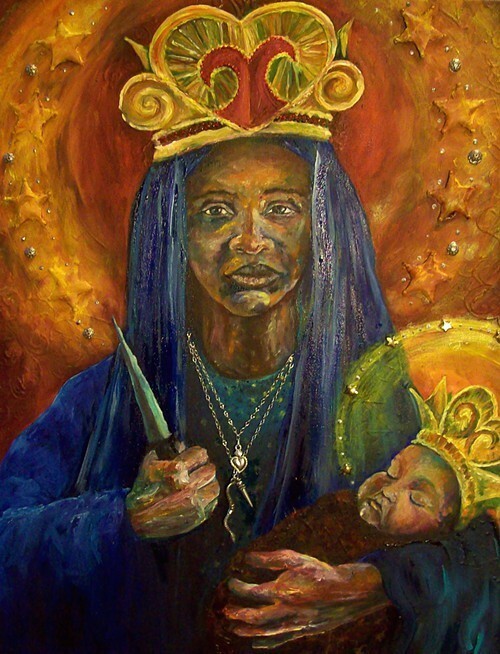 Erzulie Freda is sometimes compared to the Orisha Oshun and may have originally been a Benin river deity called “Mommy Water”. She is also syncretized to Our Lady of Sorrows. 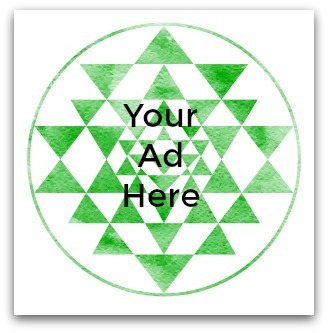 When working with Erzulie Freda, it is wise to tell her how beautiful she is- she loves flattery! Her generosity and kindness are also famous, but she does not like to be lumped in with other deities and prefers individual attentions. Erzulie D’en Tort or Erzulie Dantor (Erzulie of the Wrongs) is from the Petro nation of the Erzulie family. She protects women and children and deals revenge against those who wrong them. She is also called Ezili Danto and Erzulie of the Red Eyes. 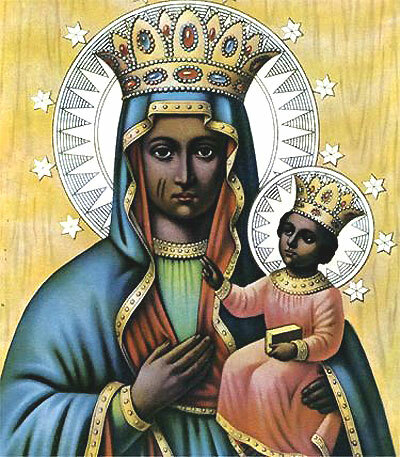 Syncretizes to Our Lady of Czestochowa – the Black Madonna. She has scars on her face and scholars believe that this may indicate Congo origins for her prior to the diaspora. Danto is renowned for her strength and her temper. 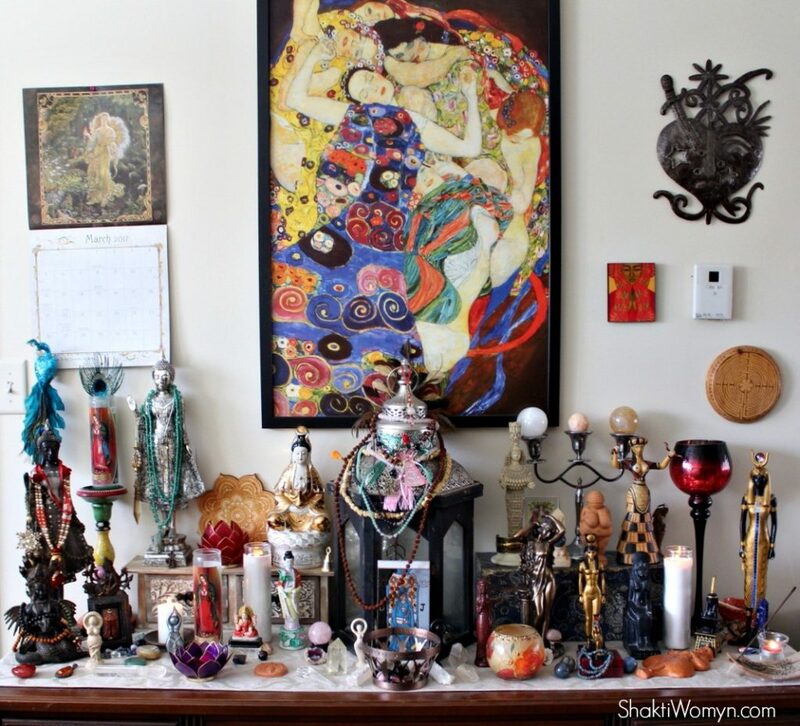 Symbols and things you will find on Erzulie Dantor’s altar are: a dagger, red scarfs (sometimes blue or yellow), black dolls, a figure of La Madama, Mater Salvatoris (the Madonna – especially the Black Madonna) lithograph. Offerings that she likes: bottle of Barbancourt rum and another of Creme de Cacao, grilled pork with lots of pepper (griot), strong cigarettes, yellow yam, cakes with blue and gold icing. 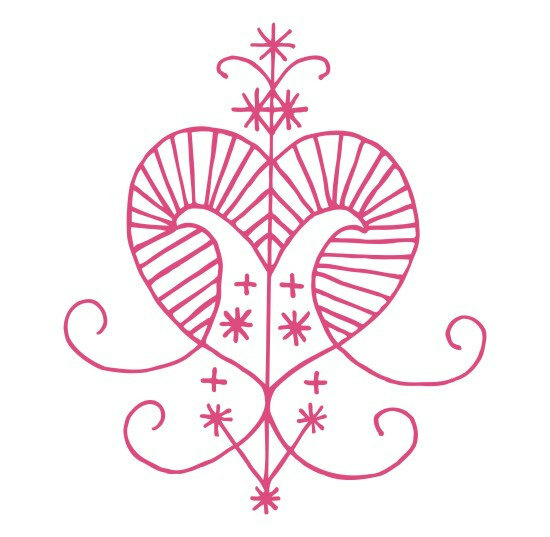 Her veve has a dagger piercing a heart, see below.